STEM is an acronym for Science, Technology, Engineering, and Mathmatics, which means a lot of parents are looking for the best educational baby toys for STEM learning. Let's start at the beginning. 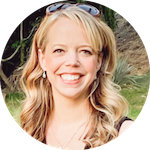 If you're a parent or if you're dialed into educational issues and news, you know that STEM is a huge buzzword right now. There's no denying that science, technology and math are key components to any schooling, but STEM isn't just about teaching kids computers and complex math. The elements of STEM start being developed long before little ones know how to add and subtract, and far before they know the difference between structural and civil engineering! STEM skills in babies and toddlers are developed naturally by babies exploring and learning about the world, and we can give our babies fun ways to develop their STEM foundation through toys and activities. I'm a firm believer in fun, and I also believe that early education should not feel like work. Meaning: attempts to educate babies and toddlers should focus on fun first. Learning is an amazing byproduct that comes out of almost every activity a child does! I have another belief regarding educational baby toys for STEM learning: the toys should be low or no-tech. Non-electric toys just seem better for developing fine motor skills. It also puts the baby in the position of the leader, while battery-operated toys generally have the toy dictate to your child how it's supposed to be used. Think about it: electronics and technology only become more common as our babies grow. This is your chance to give your child exposure to the wonder of simplicity. 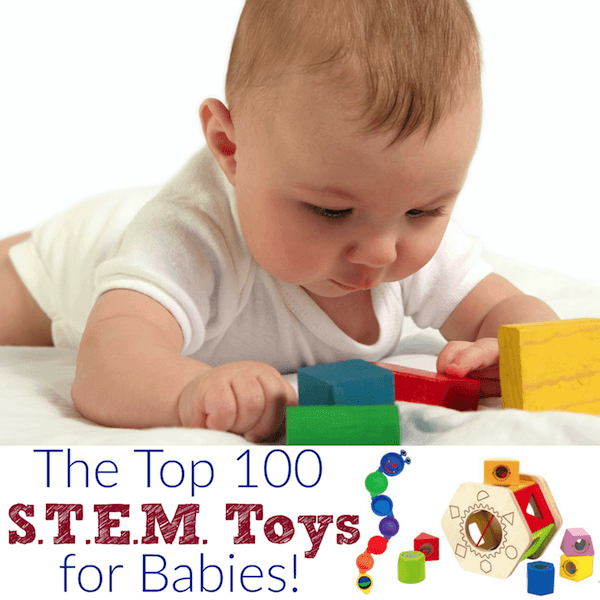 What should you look for in educational baby toys for STEM learning? 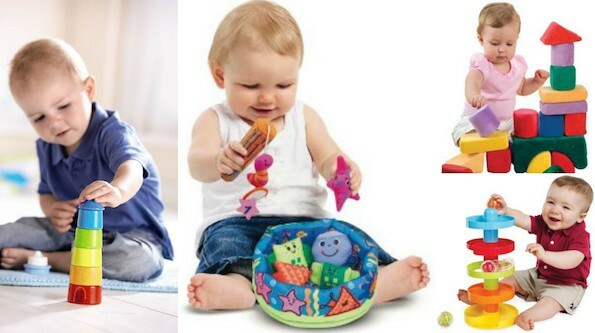 Note: While I was compiling this list of top educational baby toys for STEM learning I couldn't help but include some toys that are more appropriate for two or three year-olds. There are so many great toys to check out, but just be aware of the recommended ages before you buy them. It's also worth noting that I've never minded when my own kids received toys that were slightly outside of their age group. It's fun to set aside a toy until they're the right age for it. When they do hit that age it's like Christmas or a birthday all over again! 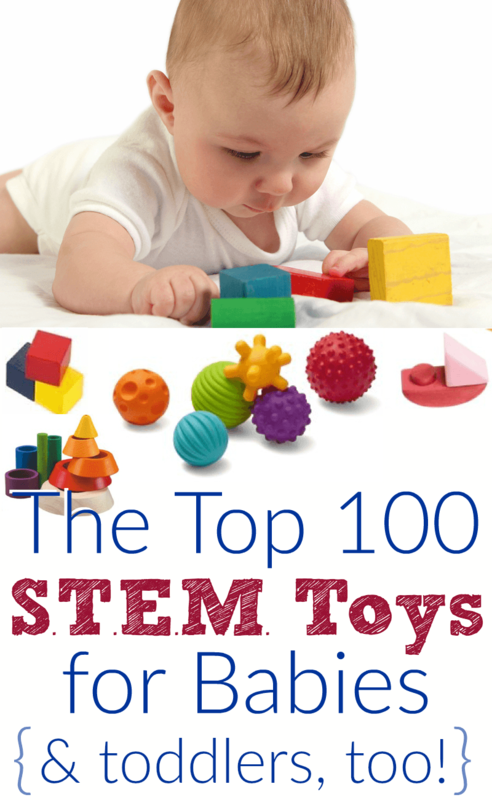 Do you have any baby toys you can recommend for STEM learning? Great list of toys. This is the best type toy that every kid can get. Thank you!